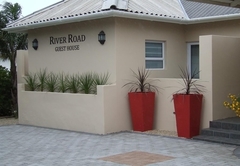 River Road Guest House is a 3 star graded guest house offering Walmer accommodation in 4 guest rooms. 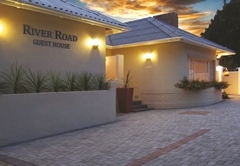 River Road Guest House is a guest house in Walmer, Port Elizabeth offering bed and breakfast accommodation. 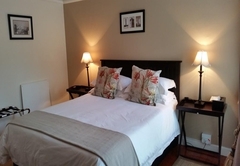 Come and discover real South African hospitality in this comfortable upmarket guest house where you will receive the personal attention of the owners / hosts. 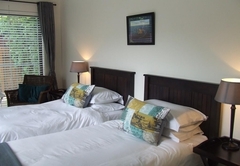 Family room with extra length queen bed; sleeper couch to accommodate third adult or children; en- suite bath, shower and separate toilet. 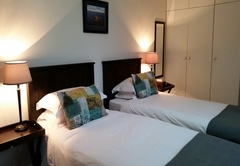 Double room with double bed, en-suite shower. Garden view with private entrance. 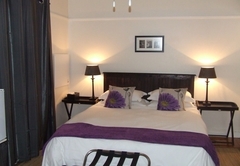 There is a comfortable television lounge for the exclusive use of our guests. Laptop, copy and fax facilities are available. Secure on site parking with remote access is provided. 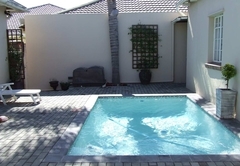 This guest house is situated close to airport, beachfront, restaurants, major shopping centres, hospitals. A few sports facilities close by are Sahara Oval St Georges (cricket), Port Elizabeth Golf Club and the Nelson Mandela Bay Stadium used in the 2010 Soccer World Cup. 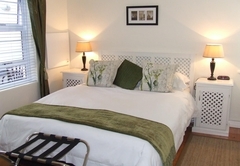 The Standard Queen rooms are Double rooms with Queen extra length bed. En-suite bathroom with shower, private Balcony. Room with queen extra length bed. Pull out sleeper couch which can sleep 1 adult or 2 children or extra single bed. Balcony En-suite bathroom with bath and shower. Separate toilet. This Room has a private garden entrance. En suite shower. 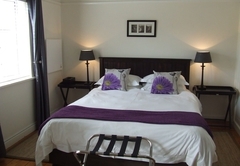 Has twin single beds or a double Queen option. Response timeRiver Road Guest House typically responds to requests in 5-10 minutes.